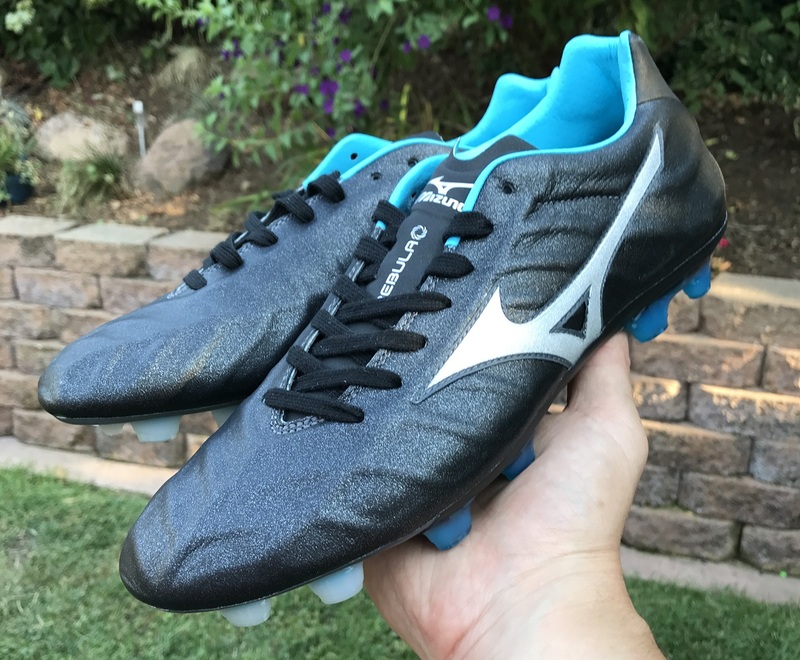 If you haven’t yet heard, Mizuno recently released a brand new silo that is intended to replace the extremely popular Wave Ignitus series. A controversial move? Well, in a sense YES. In comes a brand new Power/Control hybrid intended to carry on the reputation of the Wave Ignitus, this one called the Rebula V1. This is Mizuno’s latest “Made in Japan” boot that boasts the brand’s top materials and treatments to ensure the highest quality product available. 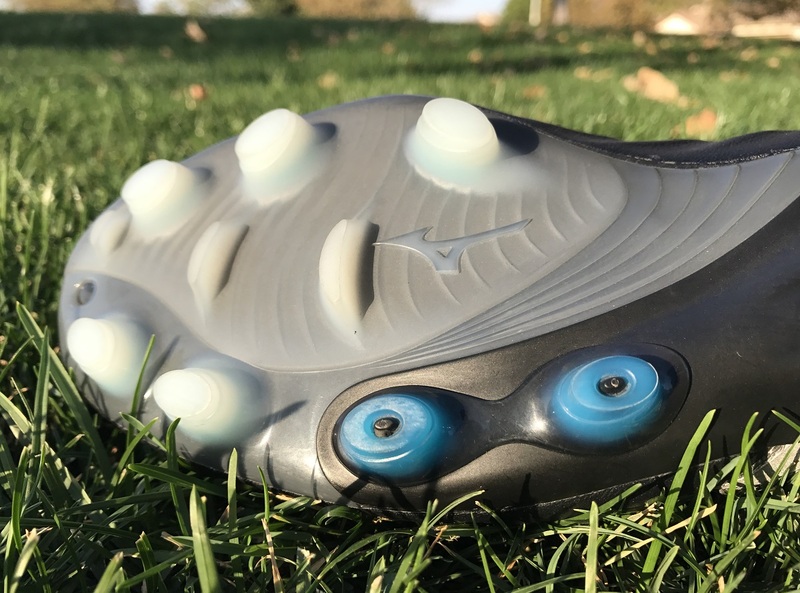 And don’t worry, Mizuno has kept some of the more prominent features found on the Wave Ignitus in play while working to improve the general fit and feel of the boot on foot. 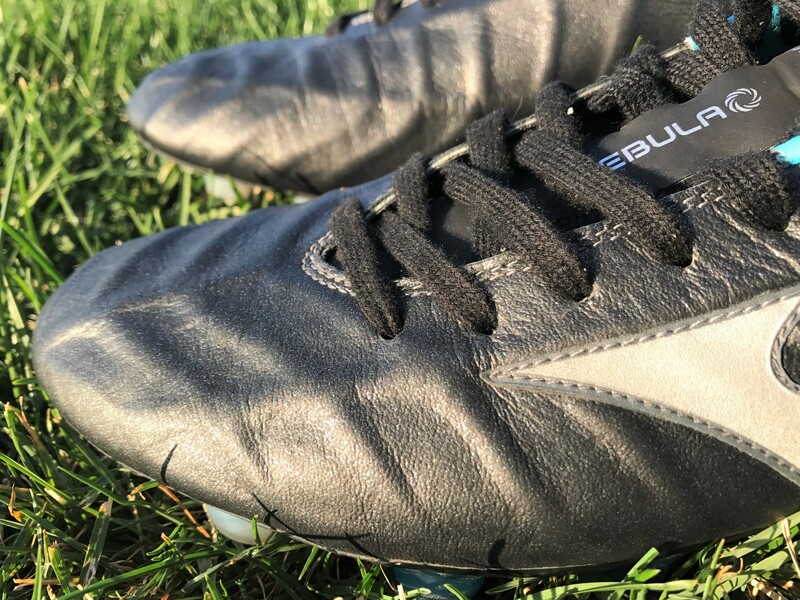 Find the latest Rebula V1 colorways at soccer.com. It starts through a new CT Frame that is the “spine” behind the Rebula V1 design. Basically, a memory foam skeleton sits underneath the incredibly supple Kangaroo leather upper, providing players with a naturally plush feel on the ball. Visually, you can see how much definition is created through the upper thanks to the combination of materials. It allows for better control and impact absorption on the ball while eliminating any worries over chunkiness. 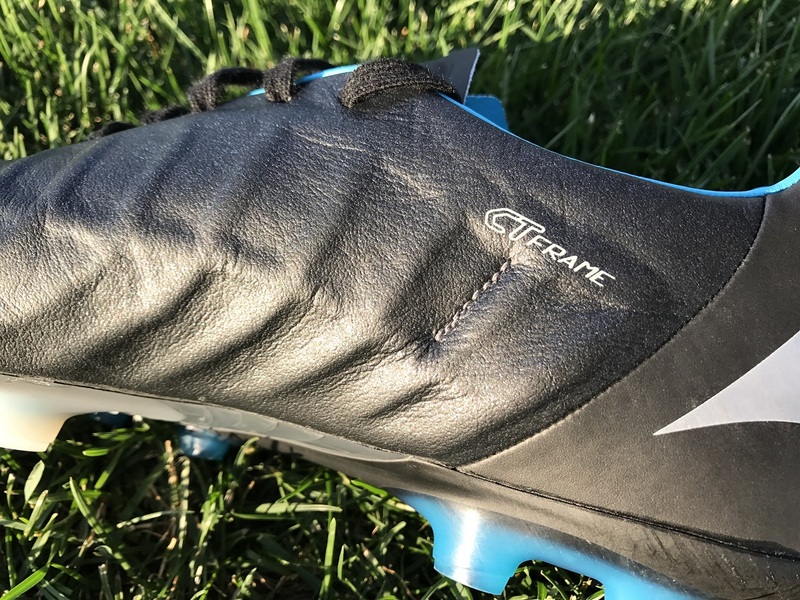 One of the key pieces of this boot is the soleplate, and its emphasis on speed. An innovative oval style stud shape is intended to help players propel forward faster. When you couple that on a D-Flex Groove soleplate that provides quicker release through twist and turns and you have a boot that is obviously focused on speed and acceleration. 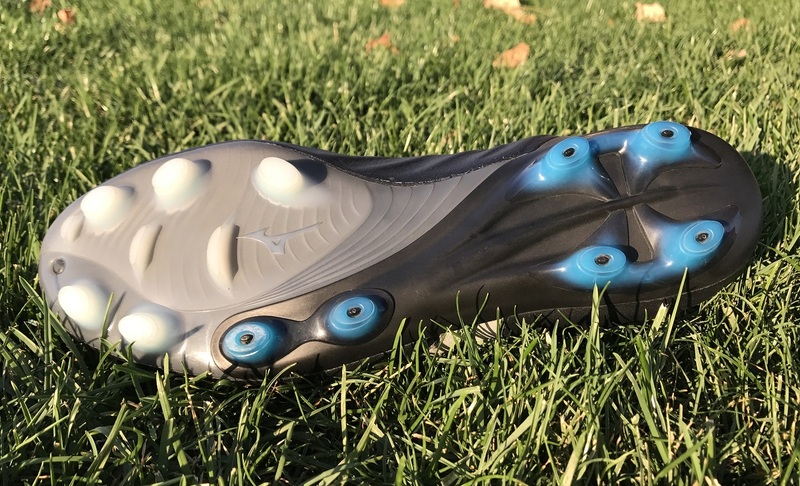 Through wearing them, there is definitely a solid level of traction provided on both FG and AG surfaces, ensuring they are a valid option for players that play on different surfaces through the week. Besides all the tech involved in this new release, the actual fit of the boot is extremely important. The one important note about the Rebula is that they have an odd angled forefoot shape that sort of mimics the Puma V series. Basically, they angle sharply from the outstep toward the big toe. So, initially I encountered pressure along the outside of my foot, along the little toe. Given I consider myself to have a medium/wide fit, I’ve a feeling a lot of players that have picked these up will experience the same tightness. In order to make them work, first thing to do is completely loosen the laces, right to the very bottom. Slip your foot in and let the leather upper stretch out, naturally contouring to your specific shape. From there, leave the laces slightly loose and take them out onto the pitch for a warm-up. It will take a wear or two for the upper to adequately adjust and stretch to your foot shape. Should you go up a half-size? Man, that is a tough one. Normally, I can answer the size question very quickly. But, with the Rebula things are a little more challenging. While a half-size up will be more accommodating from the beginning, the problem is the MIJ material does stretch. So, over time there is a likelihood that they will overstretch. From a personal perspective, I’d stick with my regular size knowing that it will take a few wears for them to break in. Keep a tried and trusted pair on hand as you break in the Rebula! Is this a better boot that Wave Ignitus series? Even though Mizuno label is as a replacement, it really isn’t. The Wave Ignitus gained popularity thanks to its strike zone and the ability to manipulate the flight of the ball – Muiketan. This boot is very different, with a more natural feel on the ball. It will be a lot more difficult to perfect no spin in the Rebula. Plus, they don’t necessarily fall into the quickly disappearing power category, that was something the made Mizuno different from other brands. Do I like the Rebula? Very much so, and I’m here to tell you that they are a boot worth serious consideration. 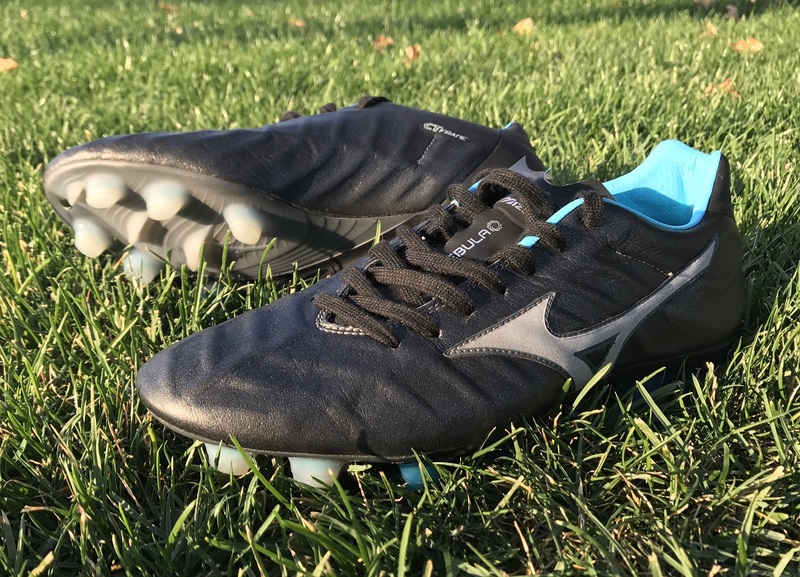 But, they could also be a boot that stands alongside the Morelia and Wave Ignitus series to provide a trifecta of boot options for Mizuno enthusiasts. I guess the key here is trying to knock some sense into people who haven’t legitimately considered the Japanese brand as a true market contender before now! The $300 price tag attached to the Rebula gives it top-tier status. But is that enough to warrant how much you need to pay to secure a pair? Well, what I can tell you is that the “Made In Japan” label puts them in an elite category of boots on the market. Each pair is placed and shaped on a last for 24 hours in order to create the perfect shape. In comparison, your average boot on the market gets just 20 minutes on a last. That is a HUGE difference, and one that allows Mizuno to provide players with a boot built on detail and not hype. Think of the natural stress and fit that occurs in the material before they even get to your feet! 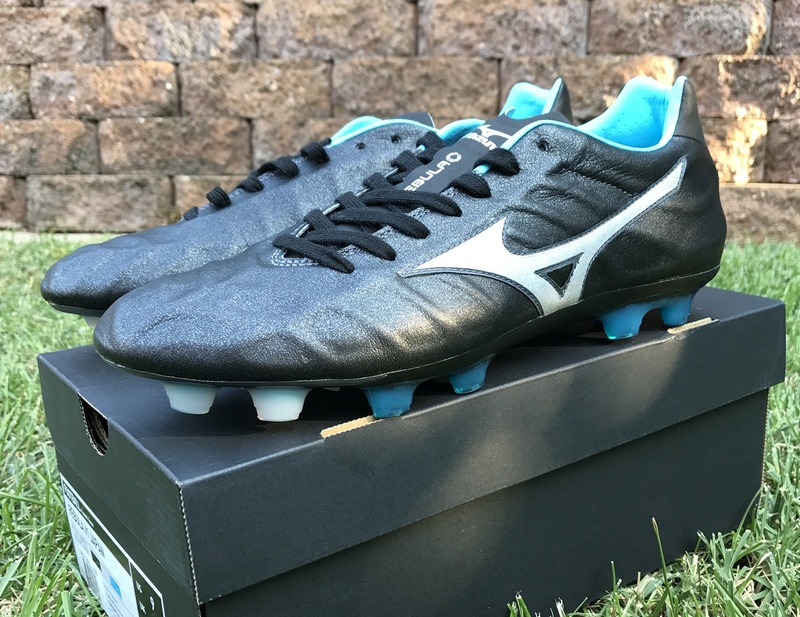 Check the latest Mizuno Rebula colorways available at soccer.com. First of all, love your reviews. 1) MIZUNO REBULA V1 MIJ, 2) DIADORA BRASIL ITALY OG, 3) DIADORA WINNER ITALY OG. Any suggestions? I am looking for overall performance. I love Diadora for what they make; solid, comfortable boots. But the Rebula is far and away a better modern performing boot. So, they’d be my choice! thanks for your reviews, really appreciated! Currently I'm considering to switch from my beloved Morelia NEO II MIJ to the Rebula V1 MIJ model. As the Morelia is truly a perfect match for my feet, do you think I would be happy with the Rebula? Thank you and best regards from Germany! Rebula are a great boot, but they fit a little differently. I'd recommend going up a half size to get the right fit if you do decide to try a pair! I went a half size up as Bryan suggested, and while they are comfortable there is a considerable amount of space(2.5-3cm) in the boot lengthwise at my big toe and they weren't that snug widthwise, so if they stretched then they would then be loose. So I'm returning them and going true to size. Also, I used to have Neos, but they were too tight in the forefoot. If the Neos fit you perfectly, then to go a half size up with the Rebulas would be a big mistake, as the Rebulas are a wider fit. If I play mostly on artificial grass, am I asking for trouble with either the durability or the stud pattern on these? Thanks! They are actually a decent option for TF. Your best bet is anything low profile and conical, where it can distribute pressure evenly across the surface without dragging through play – this why you need to avoid anything in a bladed style. 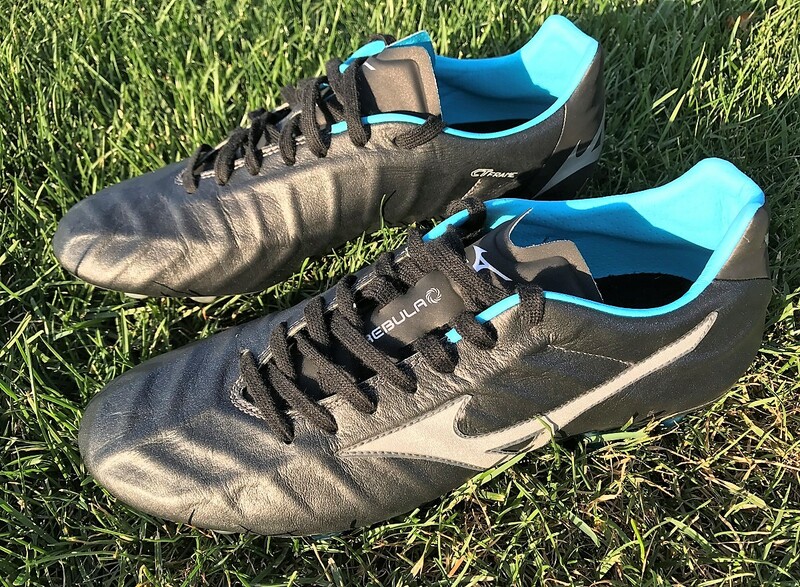 If I wear a size 9US in the Nike Tiempo Legend 7 Elite then which size should I get the Rebulas ?